Henry Holt and Co. (BYR), 9780805091830, 384pp. Emmy was not an ordinary girl. She could talk to rodents. She could shrink to the size of a rodent. And just a few weeks ago, she had even become a rodent to defeat her evil former nanny, Miss Barmy. Emmy's parents, unaware of their daughter's other life, ship her off to visit two elderly aunts in Schenectady. Emmy figures her life will be ordinary at last, if rather boring. But she didn't count on her friend Ratty, whose search for his long-lost Ratmom brings him more than he bargained for. 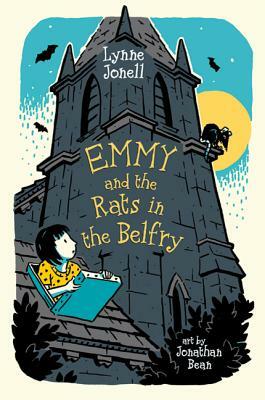 Here is the third book in the acclaimed Emmy series, complete with a flip book feature (bats! ).